Bio-Hair Essential Hair Nutrients To The Rescue! If your hair is not as full and lusterous as you would like, or you have started noticing increased hair loss, the cause of this may be one of many things. Stress, medication, hair treatments or hormonal imbalances are possibilities, but sometimes it is simply that you are lacking in the proper nutrients to maintain and grow healthy hair. We all naturally lose some hair every day, but if you are not replacing it as fast as you lose it, well, you are experiencing hair loss. The vitamins, minerals, and herbal extracts in Bio-Hair are essential for new hair growth and maintenance; the formula contains an optimal balance, silica (from bamboo), and a stress fighting B-complex featuring 2000mcg biotin. How does Biotin Help with Healthy hair Growth? Biotin improves the keratin infrastructure and may halt or even reverse some hair loss (keratin is the basic protein of hair, skin, and nails). Studies show that a main cause of thinning hair and/or hair loss in both men and women might be due to high levels of DHT (a form of testosterone). As we age, DHT can accumulate in the scalp and damage the hair producing follicles, leading to hair loss. The herbs in Bio-Hair block DHT production and allow healthy new hair growth. If your hair is not what it used to be, or what you want it to be, then maybe you need a nutritional boost. Try Bio-Hair today – Satisfaction Guaranteed! Best result will be seen after 6-8 weeks of continuous use. The Bio-Hair Advanced Hair Formula contains 24 nutrients that are recognized for their significance in promoting the growth and health of your hair. Stress fighting B Complex with 2000mcg Biotin to aid hair growth, strength, and elasticity. Saw Palmetto, Pygeum and Grape Seed extract may have very positive effects on lowering DHT levels in the body. DHT is recognized as a major contribution factor in hair loss by both men and women. Circulation enhancer Gingko Biloba and antioxidants Green Tea Extract and Grape Seed Extract support scalp and hair health. The Proanthocyanidins in Grape Seed extract may stimulate new follicle grown. Support your bone and joint health with a calcium based daily supplement that promotes a stronger, denser, healthier structure. Bones and joints play major factors in our daily health, be it mobility, flexibility, or even pain management. That’s why it’s important to take care of your body with Advanced Nutriden Sport Bone Health, a natural calcium supplement packed with essential vitamins and minerals that can help reduce the risk of osteoporosis. Each tablet contains 1,000mg of calcium which benefits many areas within your body, including bones, muscle and nerve function, brain health, circulation, and so much more. When using our supplement regularly, you can fortify your structure and support your long-term strength and stability. Nutriden products are crafted right here in the United States under strict GMP guidelines. This means you’re choosing a pure, high-quality, natural supplement that you can trust with your health. When you’re ready to help supplement your bone strength, joint health, and even cardiovascular system, choose Advanced Nutriden Sport Bone Health and make the right decision. Click ‘Add to Cart’ now to start fortifying your bone health with a natural calcium supplement that good for long-term strength and stability. STRUCTURAL STABILITY – Fortifying bone density may help reduce osteoporosis which can impact mobility and flexibility capabilities in men and women as they age. SPECIALLY-DESIGNED – Superior to standard bone supplements, our calcium carbonate with boron promotes muscle building and osteoarthritis support. ADDITIONAL BENEFITS – Optimized mineral (calcium) adsorption, our unique formula can help supplement testosterone, cognitive skills, and coordination. NATURAL INGREDIENTS – Bone Health is packed with essential bone-strengthening vitamins and minerals, such as calcium (1,000 mg), zinc, copper and magnesium. MADE IN THE USA – Crafted in an FDA approved facility under Good Manufacturing Practice (GMP) standards, you can trust our quality, purity, and reliability. Saw Palmetto has many herbal health benefits that may help aid common health issues in men, such as urination frequency, prostate health, hair loss, and libido. Our Saw Palmetto for Prostate Health by Vital Vitamins contains the highest quality saw palmetto berries extract and 45% standardized fatty acids to support men’s health and wellness. Each capsule of our Saw Palmetto for Prostate Health contains fatty acids and polysaccharides that may help increase immune health and decrease inflammation, especially in the prostate gland. Saw Palmetto Berries (extract and fatty acids) are also often used a natural remedy for colds, coughs, sore throats, asthma, chronic bronchitis and migraine headaches. Why Try Our Saw Palmetto for Prostate Health? Order Your Saw Palmetto for Prostate Health by Vital Vitamins Today! SAW PALMETTO FOR MEN’S PROSTATE HEALTH – Our Saw Palmetto for Prostate Health by Vital Vitamins contains natural ingredients that help support prostate health and regulate urination frequency and flow. Each capsule contains Saw Palmetto Berries extract and 45% standardized fatty acids! 45% STANDARDIZED SAW PALMETTO EXTRACT – Saw Palmetto has long been used by those suffering from prostate issues and benign prostatic hyperplasia (BPH). Our Saw Palmetto supplement contains 45% standardized Saw Palmetto Fatty Acids that may provide health benefits for those looking to improve their prostate health. NATURAL REMEDY FOR COLDS, COUGHS, ASTHMA & MIGRAINES – Our herbal Saw Palmetto dietary supplement works as a 5-alpha reductase inhibitor that decreases the conversion rate of testosterone to dihydrotestosterone (DHT), which has been shown to enlarge the prostate. Saw Palmetto extract has also been used as a natural remedy for alleviating symptoms from colds, coughs, sore throats, asthma, chronic bronchitis and migraine headaches. REGULATE URINATION FREQUENCY | ENHANCE PROSTATE FUNCTION & HEALTH – Our Saw Palmetto Complex contains fatty acids and polysaccharides that may boost immune system health and decrease inflammation. The herbal benefits of Saw Palmetto have also been used to aid many common health problems in men, such as urination frequency, hair loss, libido and prostate health. 60-DAY, 100% MONEY-BACK GUARANTEE – We are committed to our customers’ satisfaction. If you’re not satisfied with this product, we offer a 60-day, 100% Money-Back Guarantee. Worried about B-12 deficiency? Give your body what it’s been missing with these high-potency liquid drops! They deliver more B-12 in every dose, in a form that’s most easily used by the body. Lack of Vitamin B-12 can leave you feeling sluggish, cranky, and foggy-headed. Replenish your body with these Vitamin B-12 Liquid Drops by Why Not Natural! Each bottle contains pure methylcobalamin-a form of B-12 that’s quickly and easily utilized by your digestive system. Each dose of our nootropic gives you a whopping 5000 mcg, more than other brands! Our graduated dropper takes the guesswork out of dosing; simply measure out the precise amount you need. With its yummy cherry flavor, this B-12 is a pleasure to take each day. You’ll love having more energy and vitality (great for your active lifestyle or pre-workout!) and being able to think more clearly throughout your busy day. Ready to feel more vibrant and alert each day? Click ‘ADD TO CART’ to buy now! ✔ FEEL BETTER, NATURALLY: Our Pure Vitamin B12 is a natural energy, mood, and memory booster – and supports healthy metabolism, immunity and nervous system functioning. Achieve your fitness goals, perform better at work/school, and improve your overall health and feeling of well-being. ✔ HIGHEST POTENCY: While most B12 supplements contain 1000mcg to 3000mcg per serving, we give you the same number of servings per bottle at 5000mcg – so you get more for your money. ✔ EASY FOR YOUR BODY TO USE: Features methylcobalamin, the bioactive form of B12 that’s more readily absorbed by the body. Also contains a small amount of alcohol to help maximize absorption when used sublingually under your tongue. (The alcohol also acts as a safe, natural preservative). Contains no toxic cyanide like other, inferior vitamin supplements! ✔ GRADUATED DROPPER FOR EASY DOSING: The graduated/printed dropper allows you to quickly & easily measure 2500mcg, 5000mcg or another amount of B12 that’s right for you. No more guessing or counting drops! Save time in the morning, and always get an accurate serving size! ✔ DELICIOUS CHERRY FLAVOR: Pleasantly flavored to make you more likely to take it daily. Turmeric Supreme represents full Curcumin Synergy. Our unique formulation creates a powerful whole plant profile of Turmeric’s valuable properties. * Turmeric Supreme provides more curcumin per capsule than other products in our Curcumin Synergy line. It may be taken alone or combined with one of these targeted formulations. Curcumin Synergy: For thousands of years Turmeric has been valued in Ayurveda. Today, science has identified compounds in Turmeric, curcumins in particular, which support healthy inflammatory function — maintaining overall health and vitality. * The Turmeric Supreme family of products represents full Curcumin Synergy by delivering better absorption, better support. Not all forms of vitamin K are created equal. Each has its own unique benefit. We have specially designed this K2 formula to ensure you get the maximum and broadest range of benefits that vitamin K can offer. We included Vitamin D3 to ensure proper vitamin K absorption. Sufficient Vitamin D3 facilitates calcium absorption, while Vitamin K transports it to each of the bodily systems that necessitate this essential nutrient. Research has shown that a single dose of MK-7 was well absorbed and reached its fully absorbed level at 6 hours after intake and can continue to provide support in the body for up to 2 days after consumption. Results can be detected and measured through blood tests at the nutritional level. Outcomes of testing prove that long chain MK-7 is highly absorbable. The advanced effectiveness of MK-7 is due to its improved bioavailability, making it the longest lasting form of vitamin K available. Bone tissues which include the hard outer shell and inner spongy tissue, are replaced, roughly every 7 years. Vitamin K2 has a significant role in facilitating the activation and optimizing of a protein called Osteocalcin along with all its functions. This protein helps bind calcium into the bone matrix during the osteoblasts process. Vitamin K2 not only helps direct calcium to bind and deposit in the bone but also helps direct the calcium away from where it should not belong, such as organs, arteries, and joint spaces. Vitamin K2 helps this process by activating the production thereby increasing the level of matrix GLA protein (MGP) produced by the smooth vascular muscles cells. This protein helps inhibit the accumulation of calcium in the walls of blood vessels. Without Vitamin K2, unwanted calcification in the arterial lining may occur. STRONGER BONES: Helps transport and direct Calcium from the bloodstream and store it in the bones and teeth. SUPPORT CARDIOVASCULAR HEALTH: Vitamin K2 keeps calcium out of your arterial lining, preventing calcification of coronary arteries. HIGHEST QUALITY: To ensure purity and safety, our products are manufactured in a fully GMP-certified facility. All Made in USA. The new Vitafusion Extra Strength line includes high potency Vitamin D3 fused into delicious gummies. Two Extra Strength D3 gummies provide 750% daily value (3000 IU) of Vitamin D3. Culturelle Extra Strength Digestive Health combines 20 billion active cultures of Lactobacillus GG, the most clinically studied probiotic strain, with Inulin, a prebiotic, to deliver a powerful capsule that works naturally to help create a healthy balance of bacteria within your intestinal tract to support a healthy digestive system. Written by Albert Crenshaw 3 Comments Posted in Health Products	Tagged with 100%, Clinically, Contains, Count, Culturelle, Daily, Dietary, Digestive, Extra, Formula, Health, Lactobacillus, Most, Naturally, Probiotic†, Sourced, Strength, Studied, Supplement. 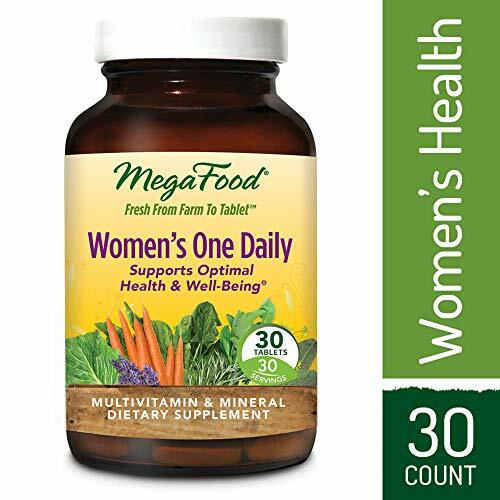 HIGHEST DOSAGE PER CAP ON AMAZON; SUPPORTS CARDIOVASCULAR HEALTH Real Herbs Artichoke Extract supports cardiovascular health by lowering bad cholesterol while increasing levels of good cholesterol or omega-3 fatty acids. Artichoke is a rich source of potassium, the essential mineral that helps neutralize the effects of excess sodium, thus, and normalizing blood pressure. Real Herbs brings to you highest dosage per cap on Amazon – 700 mg – for potency and efficacy. IMPROVES LIVER FUNCTION Real Herbs Artichoke Leaf extract contains cynarin and silymarin, antioxidants that improve liver health by reducing the presence of toxins and facilitating its excretion from the body. These two antioxidants also promote cellular repair of the liver cells, improve liver function and overall health. IMPROVES DIGESTION Artichokes are also rich in dietary fiber which is highly beneficial in keeping bowel movement regular and decrease symptoms of constipation. Fiber also acts as a detox for excess LDL cholesterol. MONEY-BACK GUARANTEE As we are confident of the efficacy of Real Herbs Artichoke Supplement, all purchases are backed by a 100% money-back guarantee should you be unsatisfied. Our products are potent for 2 years from manufacture date.